Regulator inlet to 10mm Copper Pipe converter - GAS IT Leisure Gas Bottles, Gas Cylincers and Gas Tanks - Catering, Motorhome, Campervan, Caravan, Farrier and Road Repair Refillable Gas Solutions. 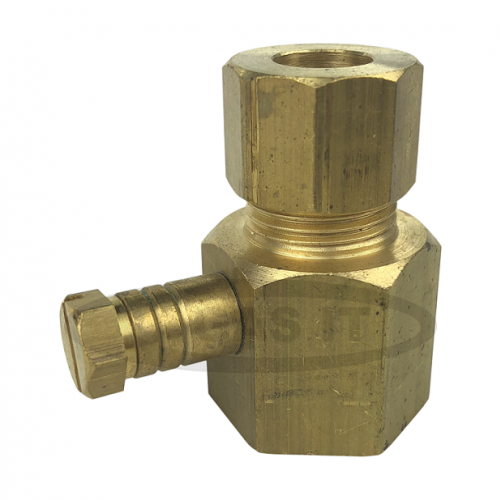 Female W20 to 10mm compression fitting with gas test point. This converts your Bulkhead Caravan or Motorohome Gas regualtor ( where you usually connect a pigtail to ) to take 10mm Copper Pipe via a olived compressed end. Perfect part when using a refillable gas system and coming out of the tank with copper rather than a rubber pigtail.